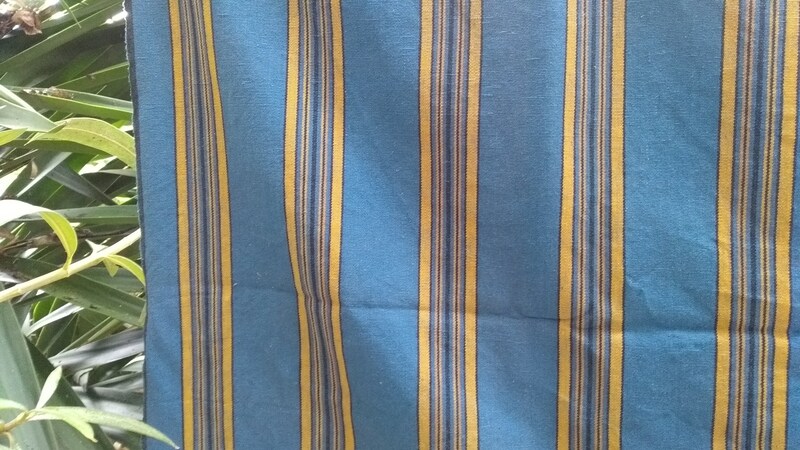 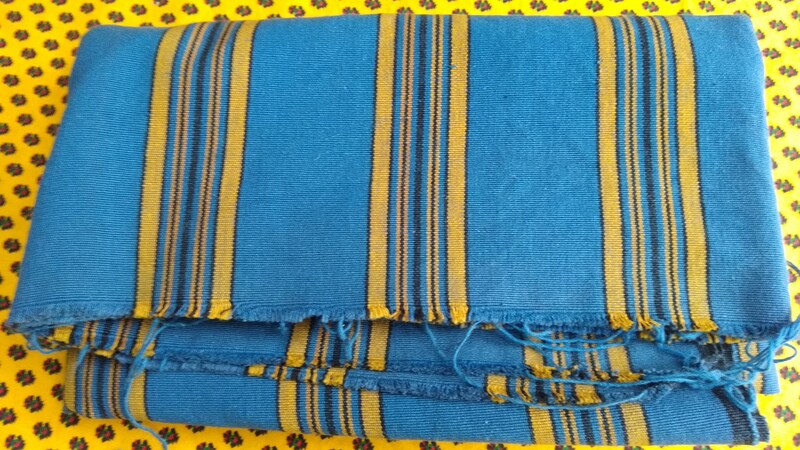 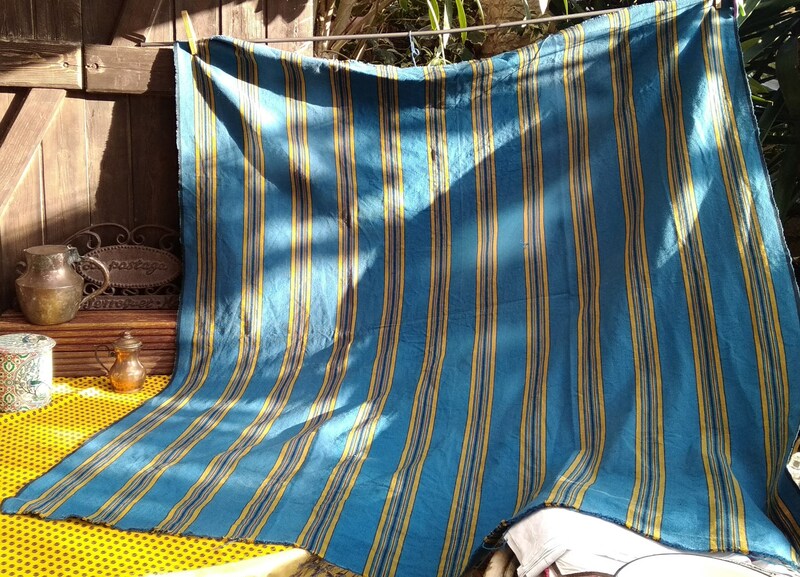 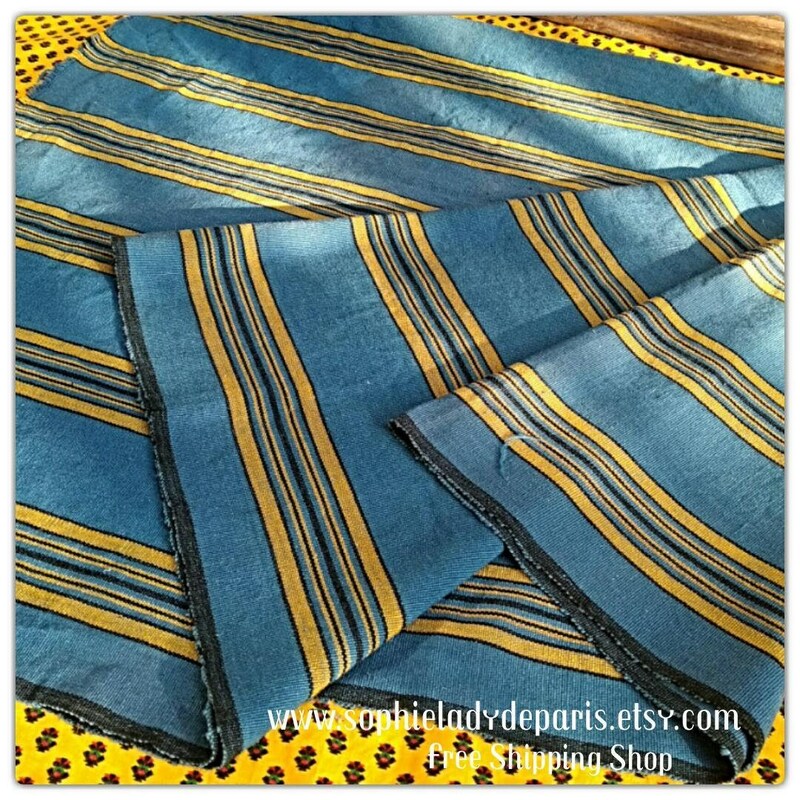 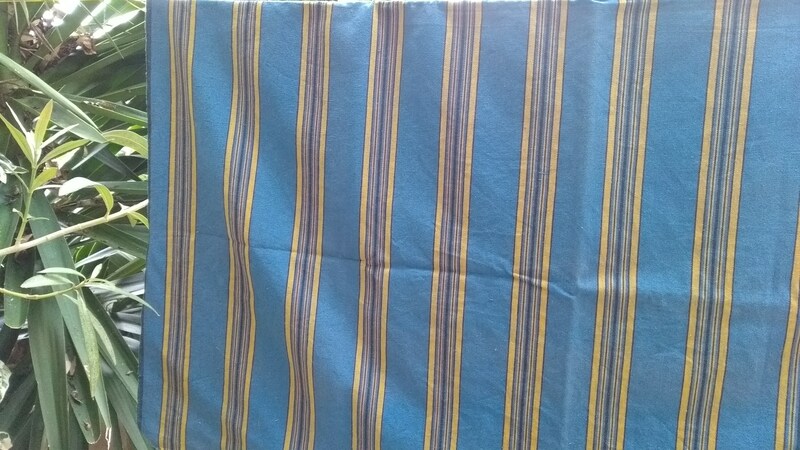 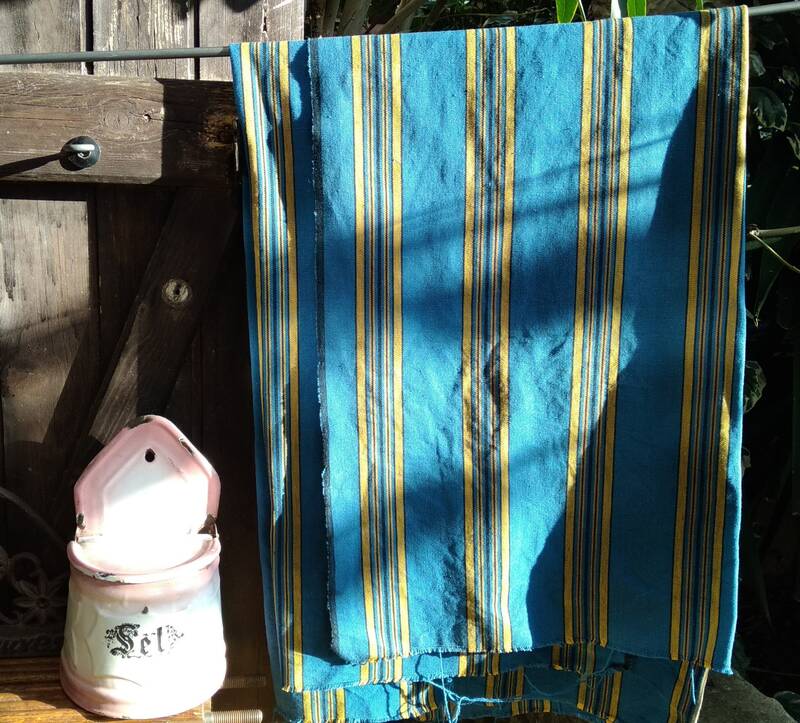 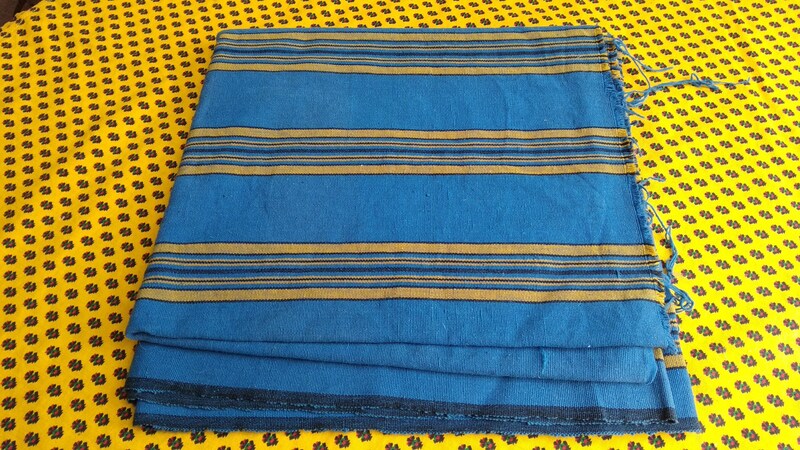 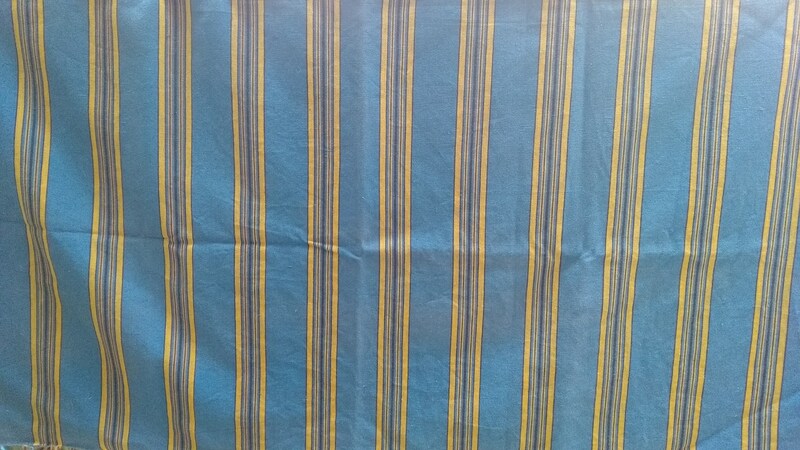 Blue Ribbed Cotton Canvas with yellow stripes. 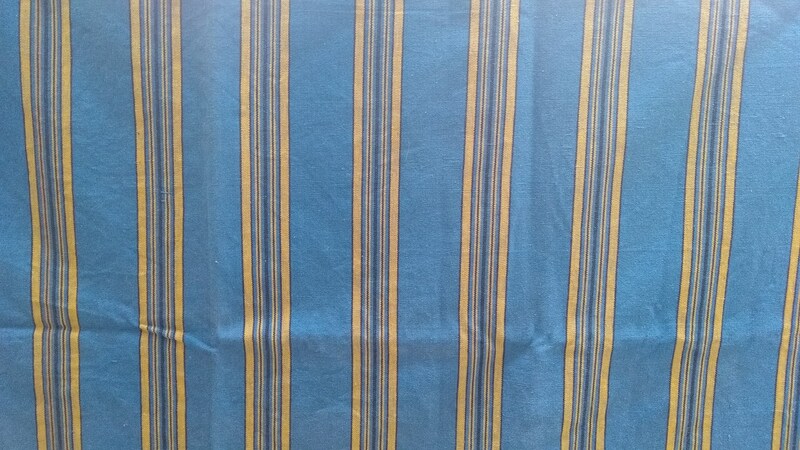 Good vintage condition, unused, new old stock. 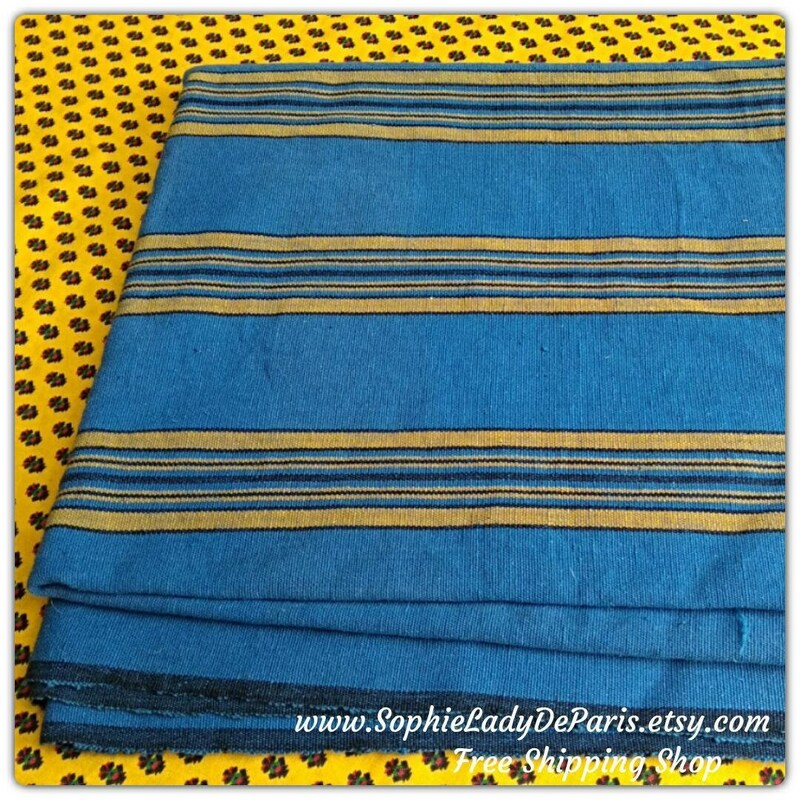 Original antique fabric for upholstery or to decorate your Home or to make sewing projects!